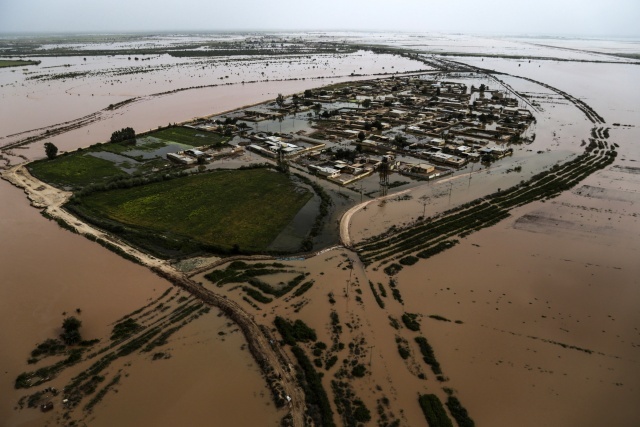 (AFP) - Iranian authorities ordered the evacuation of six cities along the Karkheh river in southwestern Khuzestan province on Saturday after more rain sparked fears of new flooding, state news agency IRNA said. Six cities alongside Karkheh river in southwestern Iran "must be evacuated as soon as possible," Khuzestan governor Gholamreza Shariati told IRNA. The oil-rich province of Khuzestan has an extensive range of dams, which have swelled upstream due to fresh downpours. The floodwater's intensity has forced authorities to open emergency discharges at Karkheh dam, one of the largest in the area, thus sparking fears of fresh flooding. The situation appears to be "critical", he said. "We advise all women and children to be evacuated to shelters and youngsters to remain and help," he added. Interior Minister Abdolreza Rahmani Fazli warned that up to 400,000 people in Khuzestan could be exposed to the floods, IRNA reported. Iran, a usually arid country, has been hit by unprecedented flooding across most of the country since mid-March with 70 people killed, according to the country's emergency services. Heavy rain was forecast for Saturday in Khuzestan.